Let’s talk about your dating routine. Dinner. Drinks. Dinner and drinks. It’s not bad. Really. Okay, maybe it’s a bit... safe. Time to breathe some fresh air into the whole thing. Shake things up. 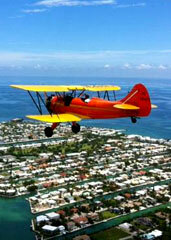 Take flight with Overseas Aero Tours, a Marathon-based outfit offering tours of the Keys via a WWII biplane, taking off now. Here’s how you’ll pull this one off. Step one: find a really snappy pair of aviator goggles. Step two: make a reservation with Overseas Aero Tours. Step three: scoop up a comely copilot and get to the Marathon Airport a few minutes before your designated time. After a safety briefing, you’ll head out to the tarmac, board a vintage Waco UPF-7 biplane and basically own this whole “dating” thing. Now, you’ve got a couple of options here. 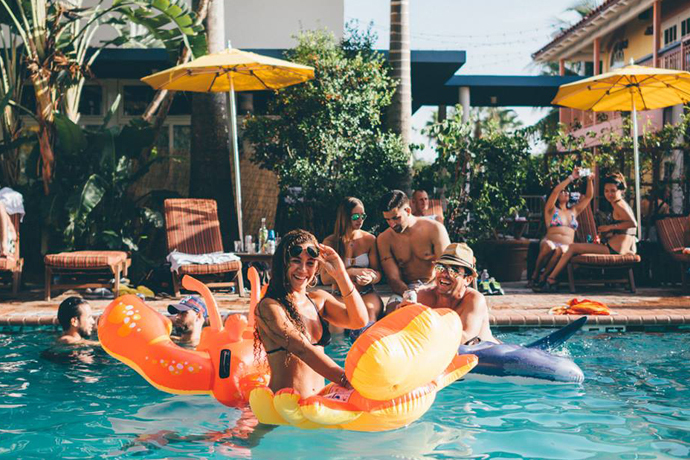 You can choose the aerial tour of Marathon (about an eight-to-10-minute jaunt) or Pigeon Key (18 to 20 minutes), or make it an hour-long event by going the Sombrero Key Light route. Then, you’ll take off and weave your way through the skies, taking in historical bridges, lighthouses and even the occasional shark or manatee sighting.